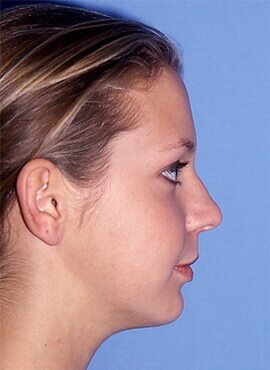 What is Double Jaw Surgery? Double jaw surgery often called maxillo-mandibular jaw surgery is “Orthognathic” surgery, which is performed to correct facial skeletal abnormalities, of both the upper and lower jaw. Orthognathic jaw surgery may reposition all or part of the upper jaw, lower jaw, however many patients require “double jaw surgery” involving both the upper jaw and lower jaw and/or the chin. 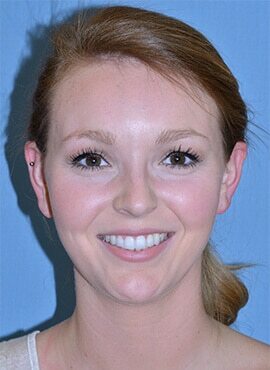 Double jaw surgery not only improves a patient’s smile and appearance, but also their ability to chew, speak and breathe. Other benefits of double jaw surgery may include the relief of facial pain, headaches, snoring and obstructive sleep disorders, including sleep apnea. While a patient’s appearance may be dramatically enhanced as a result of orthognathic surgery, double jaw surgery is performed primarily to correct functional problems. 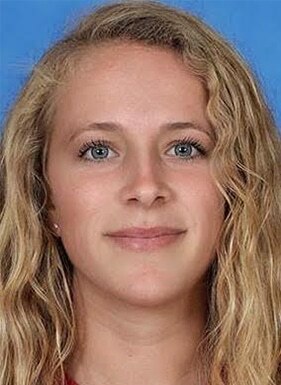 Who Needs Double Jaw Surgery? People who benefit from double surgery are those who are misaligned teeth and jaws creating an improper bite, which is not correctable by treating a single jaw. Jaw growth is a gradual process, and the upper and lower jaws may occasionally grow at different rates. This can cause functional problems including difficulty with chewing, speaking, breathing, sleeping and overall oral health. A severe misalignment may affect a person’s appearance and produce psychological or emotional problems. Jaw or head injuries and birth defects may also affect jaw alignment. Dr. Joseph works closely with your dentist and orthodontist to determine whether single or double jaw orthognathic surgery is recommended, and which procedures are deemed appropriate. Prior to surgery, your medical health history is reviewed, and a thorough examination – including facial measurements, photographs, X-rays, bite recordings and dental impressions are completed. What are the Benefits of Double Jaw Surgery? 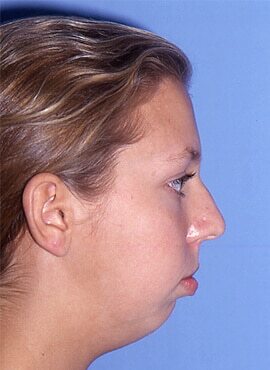 The benefits of double jaw surgery are similar to single jaw surgery. Orthognathic “double jaw” surgery moves your teeth and jaws into positions that are more balanced, functional and healthy. Although the goal of orthognathic surgery is to improve your bite and function, many patients also experience enhancements to their appearance, breathing and speech. Orthognathic surgery can have a dramatic and positive effect on many aspects of your life, and it’s likely that your self-esteem and confidence will be significantly boosted. Bite Correction and Improved Chewing – Jaw Surgery often results in a dramatic change, frequently helping many to chew food more normally and eat things that they have been previously unable to eat. Reduction in Jaw pain – This jaw pain or jaw muscle pain reduction occurs for many patients, however, there is no absolute guarantee that correction of jaw positioning will totally eliminate or reduce pain. Improved Facial Appearance – Jaw Surgery may often result in more facial balance and harmony, which will improve facial appearance, while correcting over-bites, under-bites, cross- bites and open bites. Improved Breathing – Orthognathic surgery is performed on the jaws for facial balance and frequently improves the ability to breathe. Corrective jaw surgery often improves problems associated with sleep apnea, which can cause or be associated with other serious medical problems. Improved Speech – Proper alignment of the jaw may aid in the development of normal speech patterns. Jaw surgery may need to be combined with speech therapy to correct some speech abnormalities. Reduction in Treatment Time – A combined orthodontic and surgical approach can be completed in a shorter period of time since movement of the jawbone to a better anatomical position may decrease the amount of orthodontic treatment that is necessary. What is Involved in Double Jaw Surgery? At your consultation visit, the doctor and his staff will review your health history. We will review your functional and esthetic concerns. The doctor will examine and make measurements of your head and face. We will review the surgical options and inform you of alternative forms of treatment. 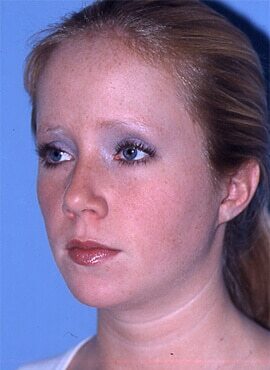 You will be shown before and after photos of patients with similar diagnosis. Records, which include X-rays, facial photographs and models of your teeth are made and a computer aided Cephalometric analysis will be performed by the doctor to provide a blueprint for your surgical and orthodontic treatment. We use patient-specific data to virtually show an orthognathic (jaw) procedure simulation customized for each patient. You will able to preview a simulation of corrective jaw surgery before the actual procedure. Dr Joseph will take this data directly into the operating room and use it for more efficiency and accuracy. Before surgery, your orthodontist aligns your teeth using braces, which usually lasts from 6 to 12 months and requires regular orthodontist appointments. Braces move your teeth into a position that will fit together after surgery, so, your bite may seem worse during this period. When your jaws are re-positioned during surgery, your teeth should fit together properly. Wisdom teeth – It may be necessary to have one or more teeth, including your third molars (wisdom teeth) removed during this early phase of treatment. 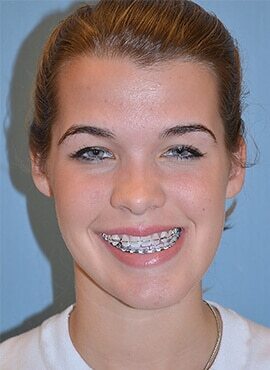 After the initial orthodontic alignment, Dr. Joseph makes final surgical preparations. New Records, i.e. X-rays, photos of your face and models of your teeth are updated and serve as a guide for your surgery. Most orthognathic procedures are typically performed under general anesthesia in a hospital or an ambulatory surgical center. Prior to surgery, your medical history is reviewed, and a physical examination is completed. Also, special dietary instructions and prescriptions are provided, and lab tests are performed. Occasionally a pre-surgical consultation with an anesthesiologist is required. 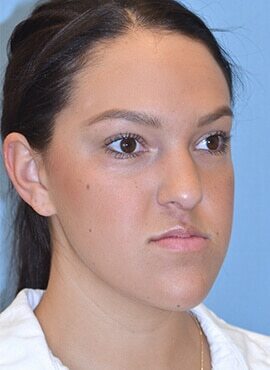 The duration of orthognathic surgery varies with the type of surgery and the severity of the abnormality. Dr. Joseph will give you an idea of approximate time required for your particular surgery. In the upper jaw, the jaw is separated from its base and then repositioned up, down, forward or backward. Dr. Joseph will then move your facial bones according to your specific needs. Occasionally, bone is added or taken away or reshaped. Tiny surgical plates and screws are used to hold your jaws in their new positions. Lower jaw surgery usually requires separation of the rear (joint portion) of the jaw from the front portion that supports your teeth. This allows us to move your lower jaw forward or backward. (See drawing) The boney segments are repositioned and fastened with tiny surgical plates and screws. In extreme cases the jaws may require wiring of the teeth for 5-7 weeks. Distraction Osteogenesis is the progressive gradual stretching of the bone. By stretching, there is increased bone and soft tissue created due to a gradual displacement or stretching of surgically created bony fractures. Distraction techniques generate not only new bone, but also soft tissue such as skin, mucosa, muscle, nerve and blood vessels. There is no need for bone grafting in these cases. SARPE or SARME is used to treat transverse discrepancy or narrow upper jaw. In a narrow upper jaw, the tooth portion of the jaw is separated from its base and then widened using an expander appliance (hirax) placed by your orthodontist a few days before the operation. After the surgery, Dr. Joseph will instruct you on daily activation of the expander appliance. After several days your upper jaw will be wider and the bones will mend in the new expanded position. 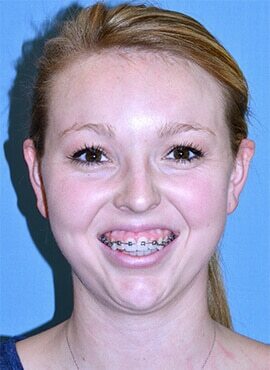 Your orthodontist will then move the front teeth to close the space, while leaving the back teeth and upper jaw wider. This outpatient procedure is performed before orthodontics and several months before the major jaw surgery procedures. The Photographs below show the narrow upper jaw and the stages of progress with the SARPE (SARME) treatment. 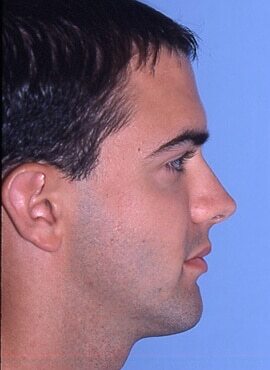 We often move the chin portion the lower jaw forward, backward, upward or downward to complement the profile. This may also improve muscle tone and help with lip closure. 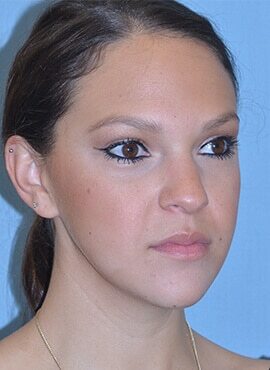 The procedure is called a Sliding Genioplasty. An incision is made inside the mouth below the lower lip. 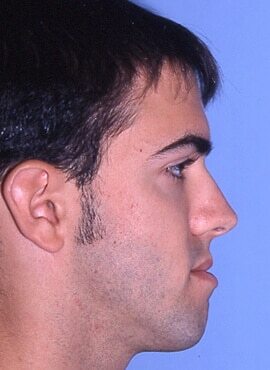 The bony chin portion of the jaw is then cut and advanced or moved back. This segment is then secured with a tiny bone screw or wire. 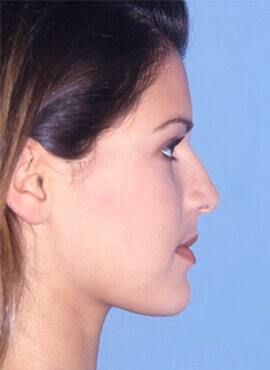 This is a model of a sliding genioplasty. 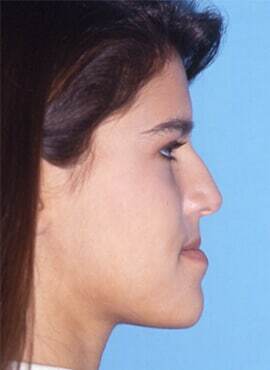 The Sliding Genioplasty advances the patient’s actual chin by moving the lower portion of the jaw. After surgery, patients are typically taken to a recovery room until the effects of the anesthesia have worn off. (Family members are not permitted in the recovery room.) Patients may return home the day of surgery, or are required to stay overnight in the hospital, depends on their specific needs. In either case, it is important to drink adequate fluids to maintain proper nutrition before you return home. Patients are given instructions for a modified diet, as well as a schedule for advancing to a normal diet. Tobacco products, alcohol, and strenuous physical activities must be avoided. Proper healing depends on strictly following all instructions. Discomfort following orthognathic surgery is usually mild and easily controlled with non-prescription medication. Prescriptions for antibiotics, pain medication, and ice packs that aid in the healing process are supplied. Swelling is expected and it typically peaks between 48 and 72 hours, then, gradually subsides. Most swelling resolves between 7 and 10 days, but some swelling may be visible for several months. Bruising, nasal congestion and a sore throat may also occur after surgery and will steadily improve. After surgery, Dr. Joseph works with your orthodontist to “fine-tune” your bite. After your braces are removed, it may be necessary to wear a retainer to help maintain your bite. 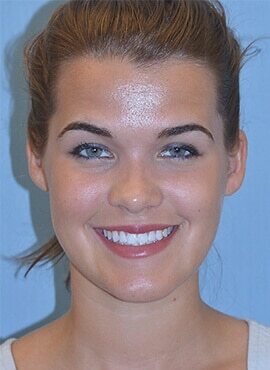 Your treatment, including orthodontics before and after orthognathic surgery, may take 1-2 years to complete. After your orthognathic surgery and orthodontics are completed, Dr. Joseph and your orthodontist will determine when and how often re-evaluations of your bite are needed. Also, regular check-ups with your general dentist are critical to maintain optimum dental health. Blood loss during jaw surgery is typically modest, and bleeding that requires a transfusion is extremely rare. Immediately following surgery, particularly of the upper jaw, minor bleeding from the nose may occur. Although excessive or prolonged bleeding after surgery is uncommon, if it occurs it may prompt further care by your surgeon. The nerves that supply feeling to the jaws are exposed during orthognathic surgery, and even though some temporary numbness or tingling following surgery is typical, it diminishes as healing progresses. In very rare cases, the altered sensation may be permanent. During surgery, the position of the jaws and the bite are set when the patient is lying down. At this time the jaw muscles are completely relaxed under general anesthesia. 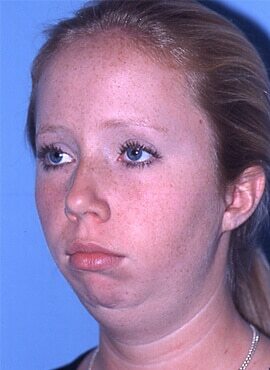 When the patient is awake and upright, jaw muscle tone is regained and the bite is subtly different. After surgery, Dr. Joseph carefully follows each patient’s progress to ensure the new bite matches the original plan. Orthodontic rubber bands are often used during this time to guide the development of the bite. In rare cases, if the bite is not exactly as projected, additional surgery may be necessary. Infections, while a potential risk following any surgical procedure, is very rare and is usually treated with antibiotics. Inadvertent injuries to teeth, roots, fillings, bridgework or surrounding tissues may occur during any surgical procedure in the mouth. Is there surgery for TMJ? – Yes, however Jaw surgery usually refers to the jaw structure, not to the TM Joint. How long does it take to have double jaw surgery? – The actual operation may take from 1-6 hours, but the entire surgical and orthodontic process may take up to 2+ years. Does insurance cover double jaw surgery? – Double Jaw surgery is usually performed for functional reasons and should therefore be covered as a benefit under your medical insurance. How much does it cost for double jaw surgery? – Double Jaw surgery is usually performed for functional reasons and should therefore be covered as a benefit under your medical insurance plan. Actual fees may vary from one part of the country, to another.